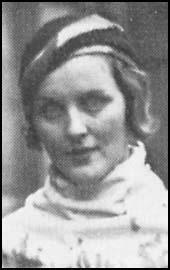 Diana Mitford, the daughter of the 2nd Baron Redesdale, was born on 10th June, 1910. The sister of Unity Mitford, Nancy Mitford and Jessica Mitford, she was educated at home (Astall Manor) by her mother. In 1929 Diana married Bryan Guinness, the heir to the brewing fortune. The couple had two children, Jonathan and Desmond. Diana's parents held right-wing political views and supported the British Union of Fascists and in 1932 she was introduced to its leader, Oswald Mosley. Diana immediately fell in love with Mosley and later claimed that she knew the relationship "would never end except with death". Diana left her husband but Mosley refused to desert his wife, Cynthia Curzon, the daughter of the former Viceroy of India. It was not until Cynthia died of peritonitis, that Mosley agreed to marry Diana. Diana and her sister, Unity Mitford, were regular visitors to went to Nazi Germany. While there they met Adolf Hitler, Heinrich Himmler, Herman Goering, Joseph Goebbels and other leaders of the Nazi Party. Hitler told newspapers in Germany that Unity was "a perfect specimen of Aryan womanhood". In October 1936, Diana and Oswald Mosley were secretly married in Nazi propaganda minister Joseph Goebbels's drawing room in Berlin. Adolf Hitler was one of only six guests at the ceremony. While in Nazi Germany Diana talked to Hitler about the possibility of establishing a pro-Nazi radio station in Britain. In 1938 Diana was told there were plans to build a transmitter on a North Sea island. However, the project was abandoned on the outbreak of the Second World War. On 22nd May 1940 the British government announced the imposition of Defence Regulation 18B. This legislation gave the Home Secretary the right to imprison without trial anybody he believed likely to "endanger the safety of the realm". The following day, Diana and her husband Oswald Mosley were arrested. Over the next few days other prominent figures in the BUF were also imprisoned. On the 30th May the BUF was dissolved and its publications were banned. Diana and her husband received privileged treatment while in prison. Winston Churchill granted permission for the couple to live in a small house inside Holloway Prison. They were given a small garden where they could sunbathe and grow their own vegetables. They were even allowed to employ fellow prisoners as servants. In November 1943, Herbert Morrison controversially decided to order the Mosleys to be released from prison. There were large-scale protests and even Diana's sister, Jessica Mitford, described the decision as "a slap in the face of anti-fascists in every country and a direct betrayal of those who have died for the cause of anti-fascism." After the war Diana and Oswald Mosley established Euphorion Books in an attempt to publish the work of right-wing authors. Diana also edited the far-right magazine, The European. The couple left England in 1949 and after a period in Ireland settled in France where they lived close to their friends, the Duke of Windsor and Wallis Simpson. The couple returned to England on a regular basis to campaign for the reorganized British Union of Fascists, the Union Movement. They were both strong opponents of non-white immigration. According to Diana: "Immigration has been a tragedy, any number should be allowed in to go to universities and learn to be doctors and one thing and another - but not to settle". In 1977 Diana published her memoirs, A Life of Contrasts. In the book she attempted to justify her racist beliefs and the support she had given Adolf Hitler in the 1930s. Diana Mosley died in Paris on 11th August, 2003. The death of Lady Diana Mosley is a reminder that Britain is still a deeply snobbish country. Working-class racists - skinheads who beat up Pakistanis, British National party councillors from northern towns, poor East Enders who attacked Jews in the 1930s under the leadership of Lady Diana's late husband Sir Oswald - become untouchables. But this rich, stupid, superficial, selfish woman, who sneered at Jews and blacks in an upper-class accent, was fawned on by the establishment right up to her death. A glance through her dreadful, snobbish biography A Life of Contrasts, revised in 2002, offers the languid reflection that Jews should have left Germany quietly in the 30s, so that Hitler would not have been placed under the regrettable necessity of exterminating them: "World Jewry with its immense wealth could find the money, and England and France with the resources of their vast empires could find the living space." The tragedy was that "world Jewry did not make a greater effort in the 30s to accommodate its co-racialists from central Europe elsewhere in the world". And those Jews who did manage to leave Germany should have had the good manners to be polite about Hitler: "Their virulent attacks on all things German... hardened the hearts of the many Germans who were well-disposed towards them." The Jews, she believed, had asked for what they got by going to Germany. After the eastern European pogroms at the end of the 19th century, "thousands of Jews poured into Germany from the east, making an acute Jewish problem there". She also sneered at black immigrants to Britain, and at the race relations laws that are designed to protect them against people like her. The book and the author received lavish praise from establishment writers, but I found not a single sentence which showed evidence of humility or humanity. Writers have preferred to dwell on her aristocratic charm (which passed me by, on the one occasion I met her) and on the upper-class eccentricities she shared, apparently, with the other Mitford sisters. In recent years, there has been an appalling TV biopic portraying Mosley as a heroic figure, their affair as one of history's great love stories, and fascism as a tremendous lark. Lady Diana was interviewed by Sue Lawley on Desert Island Discs and by James Naughtie on Today with a level of indulgent respect that neither of these interviewers would have summoned up for a working-class fascist. And four years ago, Jan Dalley's biography whitewashed Lady Diana and her husband. The death of Diana Mosley brings to an end one of the most curious questions of British upper-class etiquette: how does one deal socially with an unrepentant Nazi? One of the funny, charming, intelligent and glamorous Mitford sisters; a denizen of the "Hons' cupboard''; a dedicatee of Vile Bodies; a beautiful woman whom Churchill called "Dinamite''; an inspired interior decorator; a steadfast friend to a wide galère (including some Jews); a fine autobiographer and loving mother; yet Diana Mosley was also a woman who could - when she was inadvisedly invited to appear on Desert Island Discs - describe Adolf Hitler in almost wholly positive terms. The social problem was made easy for most people of her acquaintance during the Second World War because of her long incarceration in Holloway prison for her fascism. Lest anyone still believe that her imprisonment was somehow undeserved, let them read Jan Dalley's generally sympathetic 1999 biography of Lady Mosley, in which it is recorded that, during a Hyde Park rally in October 1935, she silently gave the Heil Hitler salute when the rest of the crowd was singing God Save the King. And that was before she married Sir Oswald Mosley. Her interrogation by Norman Birkett's Advisory Committee in 1940 - the transcripts of which were finally released in 1983 - confirmed that it had been quite right to recommend that she stay in jail, especially after she told them that "she would like to see the German system of government in England because of all it had achieved in Germany''. The key, inescapable difference between Diana Mosley and the scores of other pre-war pro-Nazis who had changed their political allegiance once the concentration camps yielded up their incontrovertible evidence of the profound evil of Hitlerism was that she was hooked for life. Blonde, blue-eyed Diana was an outstanding beauty - "the most divine adolescent I have ever beheld: a goddess, more immaculate, more perfect, more celestial than Botticelli's sea-borne Venus," writer and childhood friend James Lees-Milne said. At age 18, she married the immensely rich Bryan Guinness, heir of Baron Moyne, and they became part of a literary circle that included Lytton Strachey, Dora Carrington and Evelyn Waugh. Waugh dedicated the novel "Vile Bodies" to them. The Guinnesses had two sons before Diana met Sir Oswald Mosley in 1932, when she was 21. He was 35, a baronet, married and a father of three. The Guinnesses split up later that year. In Diana Mosley's memory, Sir Oswald was a figure of unequalled glamour. "He had every gift, being handsome, generous, intelligent, and full of wonderful gaiety and joie de vivre. Of course I fell in love with him... and I have never regretted the step I took then." She left Bryan Guinness in 1932, just as Mosley was forming the British Union of Fascists. To the horror of her family and friends - her father forbade her younger sisters to see her again - she set up house with her two small sons in Eaton Square, and placed herself at the Leader's disposal. Yet it was for an uncertain future that she had cast herself away. Mosley's first wife Cimmie, Lord Curzon's daughter, was still alive; and Mosley showed no disposition to leave her. "I never dreamed of marrying him," Diana remembered. It was as though the fairy princess had been carried off by the demon king. As Diana Guinness, she had been a leader of a set which included Augustus John, the Sitwells, Henry Yorke, Evelyn Waugh, Roy Harrod and Robert Byron. Lytton Strachey paid her court. Her photograph regularly stared from the covers of the society weeklies; her portrait was painted again and again. The face always seemed to come out the same - large, calm, and staring vacantly into space. "She was getting like that in real life too," her sister Jessica acidly observed. Mrs. Mosley visited Nazi Germany for the first time in 1933 with her sister Unity and first met Hitler two years later. She later affectionately recalled the Nazi leader's "fine brown hair, chivalry, and elegant hands." In October 1936, she and Oswald Mosley were secretly married in Nazi propaganda minister Joseph Goebbels's drawing room in Berlin. Hitler, one of only six guests, presented the newlyweds with a photograph of himself in a heavy, eagle-topped silver frame. In May 1940, Oswald Mosley was being held in England's Holloway prison. A wartime British intelligence memo urging that Mrs. Mosley also be imprisoned, written in 1940 and released only last year, described her as being "far cleverer and more dangerous than her husband, and will stick at nothing to achieve her ambitions."